We welcome bulk orders and are more than happy to help your event or company to create fabulous gifts. Just click "contact us" to inquire about a quote. 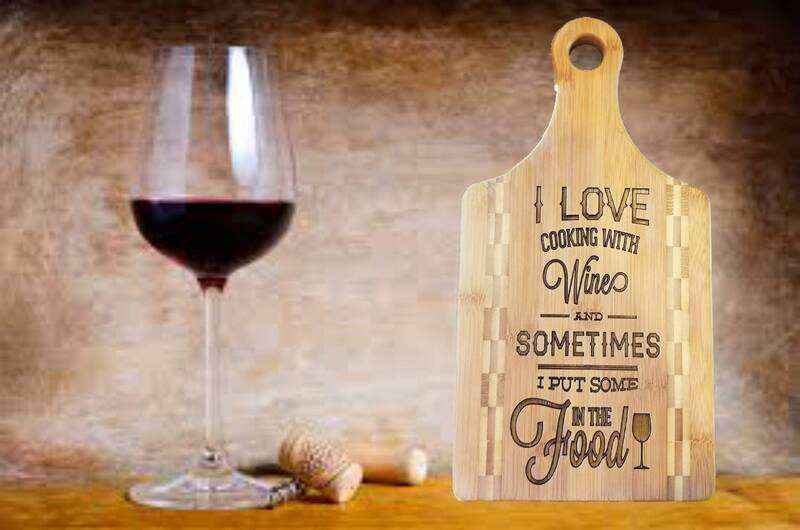 If you are looking for a classy and unique gift, this custom engraved, bamboo cutting board is a fantastic option. 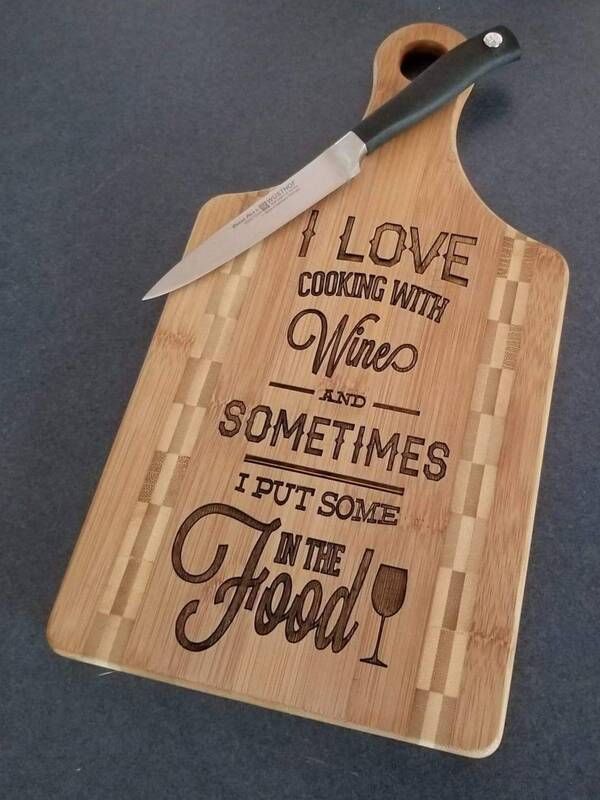 Our cutting boards are laser engraved. Leave a lasting impression with a unique gift made specially to your loved one. 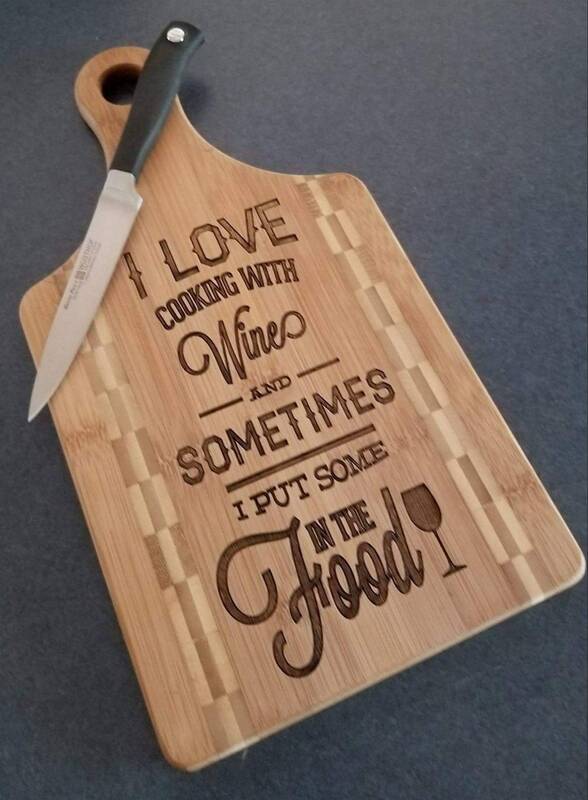 Our cutting boards are not printed. The engraving/etching is a process in which designs are burned onto the surface. No vinyl to be concerned about peeling or cracking. Please use the back side for chopping and the engraved side for kitchen display. Engraved on the front only but food safe on both sides of the board. We will do our best to ship as soon as possible and typically send orders out within Usually only 3-5 business days after order placement. Looking for a particular message, just contact us, we'd love to help!